Not to start out sounding like an old man…old men use…perhaps overuse the phrase “these days”, but I can’t avoid it this time. These days…(shudder) it is very difficult to be an honest Christian AND bring unbelievers to Christ. It’s not that the need isn’t there. Certainly you can see the state the human race is in. And, you know what, there certainly isn’t a lack of those who say they are willing to reach out to the “lost” as the Bible calls the unsaved. Seminaries are full. Bible Colleges are springing up everywhere. And, why not? In America, at least, being a pastor has turned into a pretty sweet gig. Some of the most ostentatiously wealthy people in this country founded or pastor or are, otherwise, employed by what is, now, known (at times, derisively) as “megachurches”. There is plenty of demand and, on the surface, at least, there appears to be plenty of supply. Churches are bursting at the seams, in some places. Mission trips are packed and plentiful. Heck, people are insisting, through the ubiquitous use of bumper stickers, that we should “keep Christ in Christmas”. So, why does it still feel like there is a worldwide spiritual crisis that never seems to dissipate, even just a little? You want to know what I think? You probably said “no” but I’m going to pretend you didn’t. I think the problem with the packed church yet spiritually bankrupt world is directly traceable to the pulpit. We, long ago, changed the message. Maybe the word “change” is not the one I’m looking for. It’s probably better to say that the message has been abridged. I mean, it’s relatively difficult, nowadays, to outright lie about Scripture; people have a lot of access to the Bible and they do LOVE to correct you…if for no other reason than to feel superior. Instead, the preferred method of truth manipulation is to “cherry-pick” your way through the Bible. Highlight this part while de-emphasizing that. That way you can even provide chapter and verse and everyone is happy. Isn’t that what we’re after? Keeping the people happy? Isn’t that what makes your pastor happy? (Please don’t email me and tell me you’re the exception. I KNOW there are exceptions. If this doesn’t apply to you then just let it go.) We have full churches and empty hearts because the message isn’t complete. He loves you, yes. He wants to save you, yes. That’s the part you hear about; but there’s more. This is the part you DON’T hear about. God’s Word makes it clear that the life of the believer is not going to be smooth and silky. Does Jesus wish that “our joy would be full”? (John 15:11) He does indeed. The problem, however, is WE want to define the path to this joy. 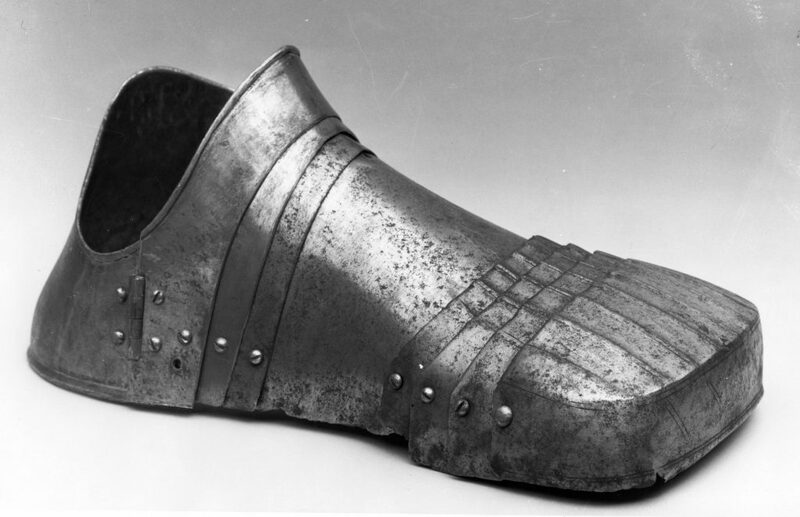 Well, God once said, “Thy shoes shall be iron and brass” (Deuteronomy 33:25) Seems like an odd thing to say; don’t you think? Why would God insist on shoes made out of such materials? Tough shoes mean only one thing: tough trip. Your footwear must match your journey; right? Not that this has happened to me too many times but have you ever checked into a swanky hotel room? There are lots of little amenities provided to you for your stay. Comfy robes and splendid lotions and soaps and shampoos. There is fancy tea and sometimes delicious treats waiting for you each morning of your stay. In the more posh locales they’ll even give you fuzzy, over-sized, plush, downy-soft slippers. Now, believe it or not, all of this is a marketing ploy. They want to give you the impression that you’re in the most relaxing place on earth. Those plush slippers are right there in the open because they want your imagination to picture a laid-back, no pressure, luxurious, ultra-relaxing visit in, what is certain to seem to be one of the antechambers of heaven. Well, I think those hotels learned that little stratagem from God. However, He said that our shoes will NOT be luxurious in any sense of the word. Nothing comfy sounding about shoes made of brass and iron. Like those hotels, God is telling you what to expect. With similar intent but with opposite sense to the Ritz, God is providing the shoes BEFORE the trip begins because it’s going to bumpy, to say the least. If God insists on durable shoes you can be certain that what lies ahead will be hard. It’s likely you didn’t realize that. It’s likely no one pointed to those tough shoes and said, “Here is what God is telling you you’re going to need for your journey in life.” Now, all of this is NOT to meant to bring you down or worry you or discourage you. In fact, quite the opposite. You see the one thing that telling you only half the story does is reduce your opportunity to grow in Faith. If you think the Christian life is supposed to be all cookies and ice cream and then you start to feel the inevitable cold winds of adversity blow, you’ll either think God is cruel or forgetful or, at the very least, angry. The FULL truth of Scripture is that life does not magically transform into a lavender scented, perpetual lazy summer afternoon for His children. One more time, yes there will be great joy. Yes there is rest. Yes there will be plenty of fuzzy slipper moments. But there will also be moments…quite a few, as a matter of fact, that call for tougher shoes but that’s actually NOT the whole message either. In fact, that isn’t even the message of Deuteronomy 33:25. The message of Deuteronomy 33:25 and, frankly, the whole Bible and this week’s podcast is that those tough shoes you’ll need for the tough trip will be provided for you. That is why telling the half-truth does you no good. Let me tell you, not being told about the tough trip isn’t going to keep it from happening. It’s gonna happen. The entire Bible is geared toward increasing your Faith. Deuteronomy 33:25 is NOT telling you about the tough trip. It’s telling you about the tough shoes and who’s going to provide those for you. God wants you to know He will provide for you…no matter what your journey brings. There is so much more to learn. So, go ahead, prepare your heart and mind by asking God to send His Spirit to you and then have a listen in to this week’s lesson. Hopefully it will help you to see that God knows what the road ahead looks like for you and that He has provided all you will need to make it through.